The pioneering hair colorist on his early champions and staying true to his roots. “[In the eighties] coloring your hair was not a trend. It was just to cover grays, and I was really disappointed with that,” explains Robin. “But my early training really defined my work—I always take very good care of hair before coloring.” His fastidiousness paid off: Within six years of his arrival in Paris, a gaggle of supermodels (including Stephanie Seymour, Kristen McMenamy, Elle Macpherson, and Claudia Schiffer) was entrusting Robin with their million-dollar manes—soon to be followed by Robin’s boyhood icon and muse-to-be, the aforementioned bombshell Deneuve. Robin views his story as something of a fairy tale. He grew up on a farm outside the village of Champagne (population: 160), watching his mother and her friends color their hair every Sunday and becoming enraptured by their transformations. At age 17, he arrived in Paris and landed a job with visionary hairdresser Jean-Louis David. One day, he was on set for a shoot with Stephanie Seymour when a hair emergency occurred: her hair was not shiny. Robin sprung into action and whipped up a peroxide-free golden shade. Seymour, impressed with her instantly glossy tresses, began telling all her model friends about Robin. The rest is hair history. Seven years after cementing his status as the supermodels’ colorist of choice, Robin opened his first salon in a small courtyard off Rue du Mont Thabor. There, he dispensed his specialty color and moisturizing treatments—the latter of which he developed to keep even the most processed, dramatically bleached hair looking lustrous. Soon thereafter, Robin launched his first two take-home products (Moisturizing Hair Oil with Lavender and Cleansing Mask with Lemon, still bestsellers), and has since expanded into a full line of hair products with a cult fashion-and-beauty-world following. In March, he is moving to 16 Rue Bachaumont in the 2nd arrondissement in Paris, where he is also opening an adjacent boutique that offers free hair washing so customers can try his products before they buy. Below, The Violet Files gets to know the godfather of modern color care. 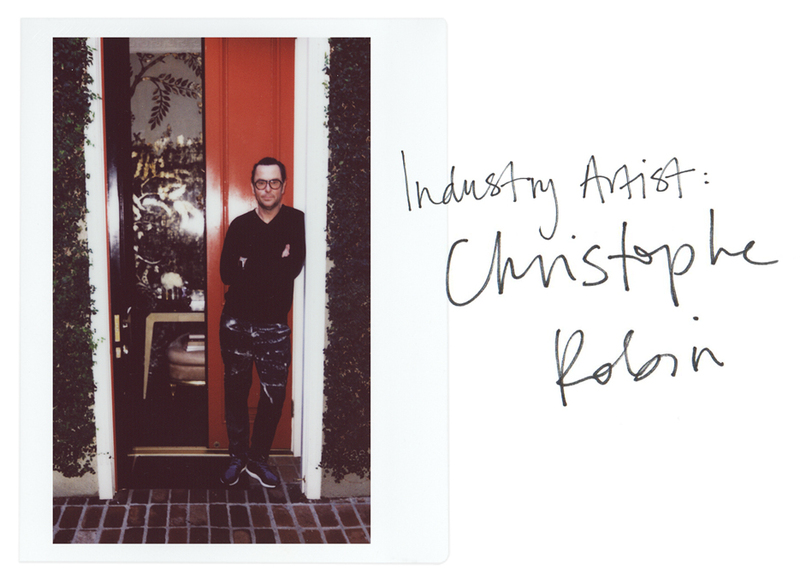 Celebrity colorist Christophe Robin on hair, leisure, and his dream appointment. From rich oils to lightweight lotions, the best products for a hydrated complexion, revealed.